After way too much detouring and side-tracking, welcome back to our weekly news roundup. Go Berserk: It's here. The on-line streaming premiere of the continuation of Berserk, a property that I credit strongly with my current state of fandom. See the original TV series if you can, but also see the movies, and then watch this show. My sole complaint is the lack of Susumu Hirasawa's original music in any form. But that's starting to bulk tinier and tinier compared to the prospect of seeing that much more of Kentarō Miura's Grand Guignol epic that makes Game of Thrones look like Sesame Street. Batto-USA-i: News of the year, possibly. Funimation has licensed the live-action Rurouni Kenshin trilogy for U.S. distribution later this year. All i can say is, about time. The trilogy is not without its flaws — most of them in the second and third films — but the first one is absolutely worth seeing, and the three together are a rewarding experience all the same. AKIRA might get fast and furious: Amazingly, the AKIRA live-action project is not dead, despite any number of failures to launch. The word on the lot this time around is that Justin Lin, fresh off Star Trek Beyond and various The Fast & The Furious installments, might take the helm this time. Again, still no word on how this project is going to be made remotely appealing, or interesting, to anyone outside of the niche. This is not to say those of us in the niche are idiots with poor taste; it's just to say there's not nearly enough of us to justify spending the $150 million or even the $75 million thrown around as prospective budgets for this thing. Side note: If you haven't, check out Lin's excellent early feature, Better Luck Tomorrow, made with little more than pocket change (and pocket lint). I wrote about this film a while back, and still can't recommend it highly enough. Open the gate! : Lionsgate is preparing to acquire Starz, a deal with some potential impact for anime fans., as Manga Video is part of the Starz library by way of Anchor Bay. Said library includes classic chestnuts like Ghost in the Shell: Stand Alone Complex, and recent gems like RED LINE. More details when I have them. 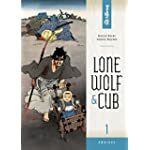 And now for something even more completely unnecessary: How about a remake of Lone Wolf and Cub? OK, maybe not totally unnecessary; this version is being shot in China and Thailand, with a Japanese cast. Fine. But the producer is Steven Paul, who has a lot to answer for — he's the one who gave us the unilaterally awful Tekken live-action films. Meanwhile, do get caught up on the original, and absolutely classic, manga, in print by way of Dark Horse. History lesson: Funimation is known for picking up the occasional out of print title, but how about a title that's been out of print for, oh, seventy-one years? I speak of Momotaro: Sacred Sailors, a feature-length animated production produced and released at the end of WWII. From the synopsis and the details of its making, it sounds like a war-propaganda piece, but artifacts like that fascinate me all the same, and I am curious to see if it has qualities other than its historic value. How Brexit might affect the UK (and US) anime markets: The Answerman column at Anime News Network breaks down this thorny question.